ONCE the bastion of bargain holidays, history will be hitched to Brendon Dickinson's LandCruiser when he collects Australia's most expensive caravan tomorrow. 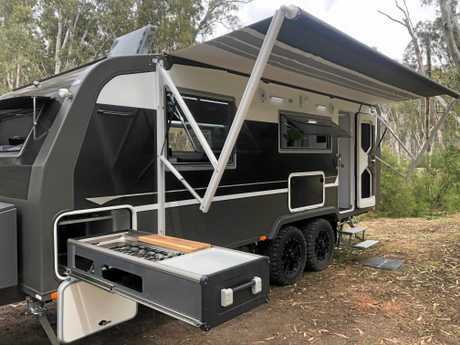 Believed to match the record-setting price paid for a triple-axle Kedron 26-foot van earlier this year, he bought the bespoke caravan, made by Coolum company Zone RV, almost entirely from carbon fibre for about $220,000. Another four from the top-shelf Summit Series range, which start at $173,000, are on order. 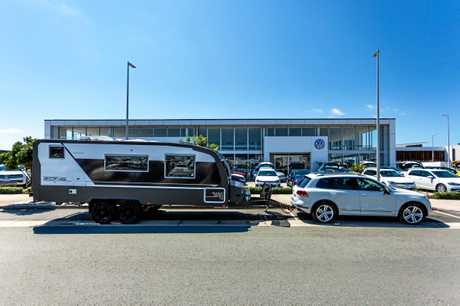 Zone RV are believed to be the only caravan manufacturers in the world building with carbon fibre. Four one-piece fibreglass composite panels make up the floor, roof and side walls and state-of-the-art bonding technology means there are no screws, rivets or fasteners. "We see more and more people coming to us and saying 'I paid 80 or 90 grand for a caravan and it fell apart'," Zone RV director Matt Johns said. "There are some young families...the majority is the retiring Baby Boomer that are going to buy a van to live in and that's justification of the price tag. We do also have people who just use them for holidays." 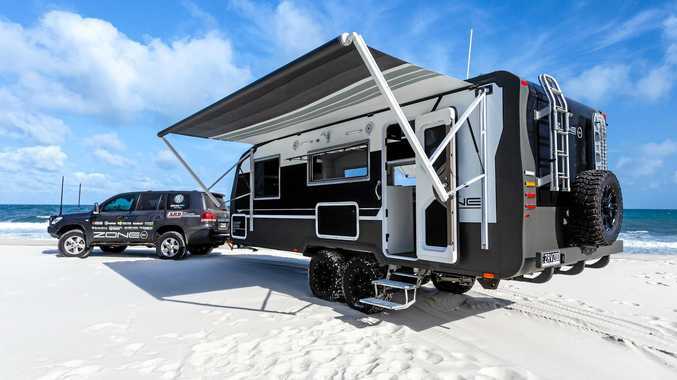 Zone RV launches carbon fibre caravans: Using no timber, Zone RV has launched it range of caravans made from carbon fibre. Not that the Burleigh Heads Carpet Call director was chasing the title. Mr Dickinson and wife Sarah went to the Zone RV headquarters to buy a less expensive model, but "more technology and more of everything" proved too appealing. Experienced travellers, previous vans failed to live up to the sales hyperbole - this time they did their homework but had intentions to investigate other vans in the Zone RV range before sighting the Summit. "The carbon and technology caught my eye. It was exactly what we wanted," he said. "We are not massive gadget heads, but being able to adjust the suspension from the car or turn on the air conditioning 10 minutes before we get to our destination is great." Using carbon fibre means less weight. Caravanners are desperate to reduce mass, while maintaining strength and stiffness. It also means caravan park bragging rights when grey nomads gather around the nation to analyse and debate the industry's best. Armed with remote controlled airbag self-levelling function, lithum-ion battery fed by a 1kW solar system and a smart wiring system which can control lights and all functions via an iPad - it's the Rolls-Royce of caravans. "Everyone has been building the same type of caravan for 60 years," Mr Johns said. "You can go and find a 60-year-old timber frame caravan and they are still pushing them out in Melbourne. The industry hasn't evolved and people have got to a point and are spending their money and going 'I actually want something better than that'." 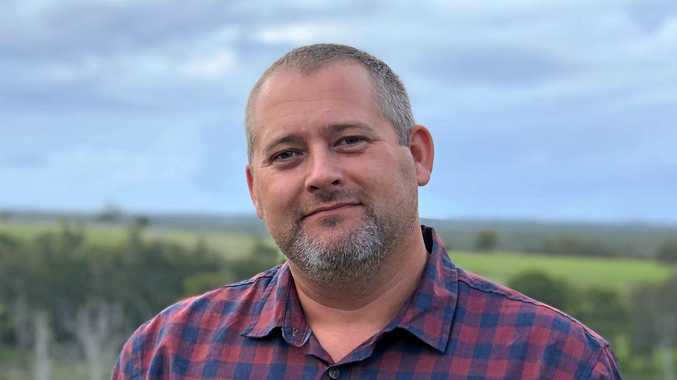 Having outgrown their original site, the Coolum-based company is now spread across two locations in the same industrial park. Next year they'll produce about 150 bespoke caravans with an average price of $145,000 - including 12 of the carbon fibre Summit Series. The caravan and camping trade industry is worth an estimated $20.4 billion annually to Australia. According to the Caravan Industry of Australia, during 2017 there were 57 million nights spent caravanning and camping around the nation. See more on the Summit Series caravans in Saturday's Motoring section.